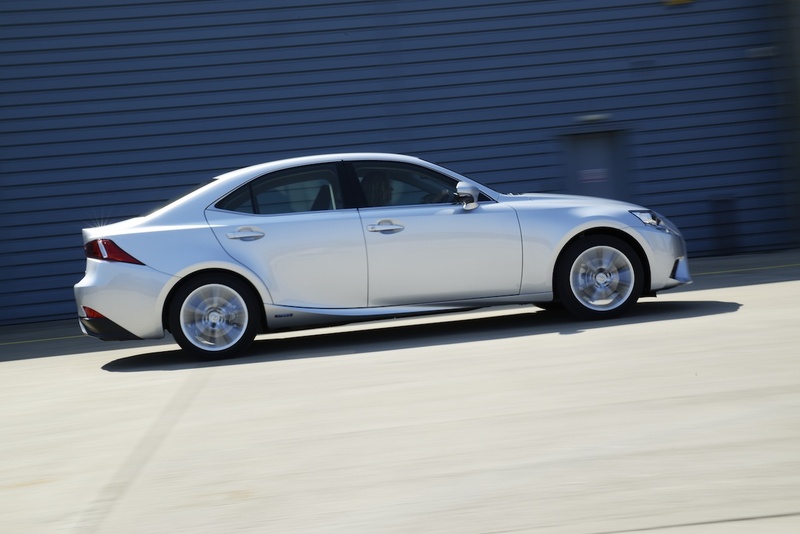 The third generation of Lexus’ rival to the BMW 3 Series and Mercedes-Benz C-Class. 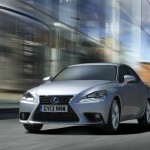 The Lexus IS is the Japanese manufacturer’s key product offering in the UK, accounting for more than half of the company’s sales in 2012. As such, it is tuned to the needs of the consumer here, with specific attention paid to suspension set-up and performance with development work completed on UK roads. 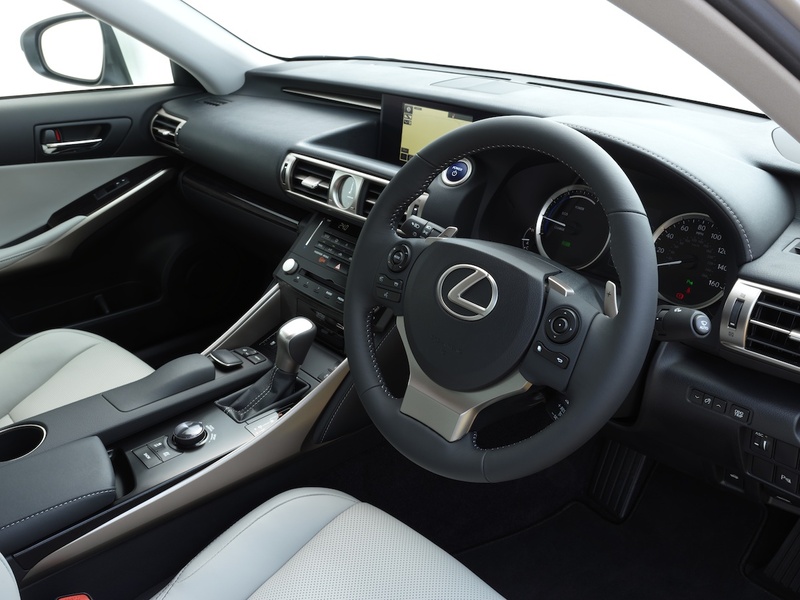 As you might expect with an all-new model from the Japanese, the new Lexus is laden with the latest vehicle technologies, advanced safety and performance systems. A 7-inch touchscreen is the entertainment ‘hub’ controlling everything from navigation and stereo to telephone and climate. There is no diesel option, partly due to Lexus continuing to push its hybrid message but also because there isn’t a suitable candidate in the company’s stable. Petrolheads make do with the IS250’s 2.5-litre, 205bhp V6 to get their fix. But the 252Nm of torque is more than ample, and helps the IS250 make decent progress on all routes. Available on both petrol and hybrid models, the F Sport package adds LED daytime running lights, front fog lamps and rear lights to the exterior. 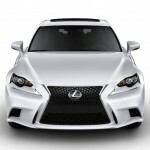 It also includes 18-inch wheels, bespoke bumpers and a mesh grille. Lexus said it was aiming for the title of ‘Most enjoyable car to drive’ in its class, and, in many people’s eyes, it will come pretty close. The IS might not have the driving dynamics and levels of driver involvement of a BMW, but it is a huge leap forward from the previous model. There’s a broad spread of power, although the gearbox is probably better left in the ‘D’ position than its manual override. The new rear suspension set-up is welcome and provides a smoother ride, with larger bumps handled with ease, adding to the comfort levels. Steering is direct and nicely weighted to make the drive a more enjoyable proposition. The infotainment package is nicely presented, but it is not all plain sailing when trying to set satellite navigation coordinates. One wrong move of the over-sensitive joystick when attempting to set a location means the whole system resets itself and goes back to square one. The overcomplicated multi-channel format has been retained in the new IS’s radio, which makes finding specific DAB stations so labour-intensive it is sometimes easier to select the analog signal. However, these gripes are minor, and the ability to hear the content of your emails as they arrive will more than make up for them for many people. The Bluetooth system transmits a message from phone to car and then the user is asked if they wish to hear it. 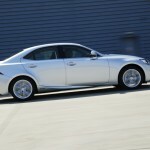 It’s a neat addition and evidence that Lexus is playing its part in making the fully mobile office one step closer. Just one other oddity experienced was the noise from the seat cooling fans. It took a few moments to locate the noise, having checked the doors were closed. Some extra sound-deadening is needed here. A big improvement over the outgoing model, and enough for the competition to worry about. 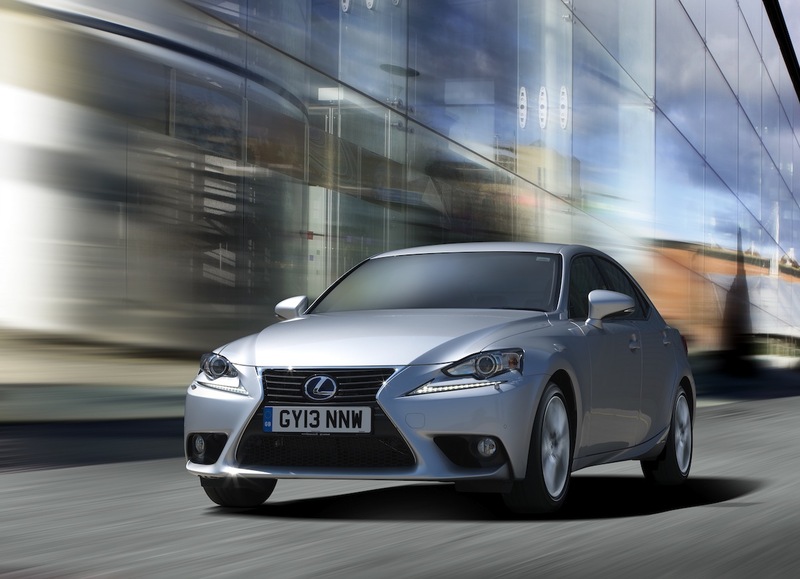 The Lexus IS is worth consideration for those looking for something different (or not German) in the small executive class. However, the petrol’s claimed combined consumption of 30.7mpg means the Hybrid version is the only real choice for UK buyers. The intuitive Bluetooth-based system that reads incoming emails while on the move. Irritations such as tuning the DAB radio and setting the (expensive) satellite navigation system.